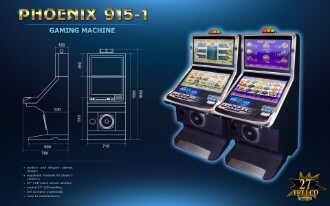 Proxima-3 gaming machines attract customers with their modern design, ergonomic and easy-to-use platform, attractive LED elements, high-resolution TFT monitors and powerful sound system. They carry a rich selection of games and are compatible with all jackpot systems produced by the company. 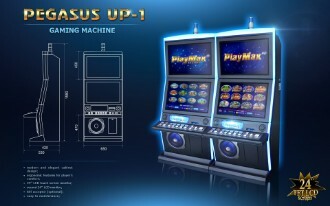 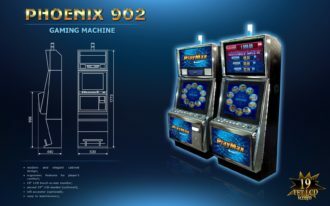 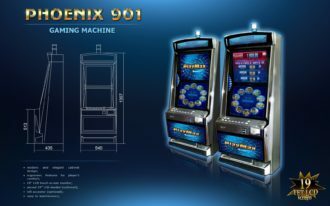 Depending on the hardware and software used, gaming machines can be divided into two major Phoenix and Pegasus product lines, serving different customer requirements through their various gaming platforms.